The heritage of Indian Football has always been carried on the firm Bengali and Goan shoulders. Alike Bengal, Goa has contributed immensely to the development of Indian Football till date. They have gifted the nation with most of its best footballers whom the nation takes pride in. 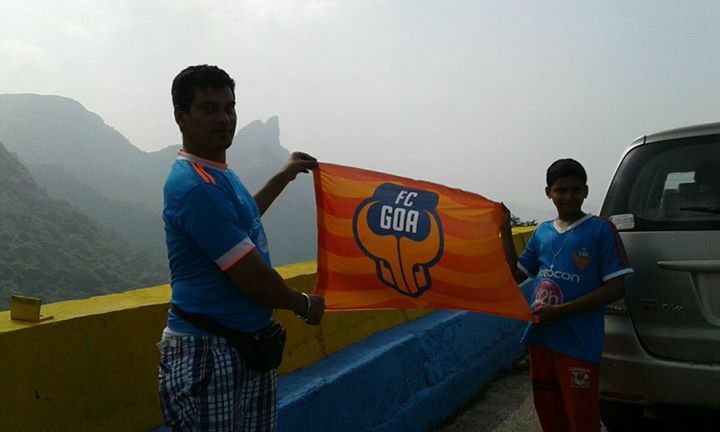 We always hoped to see the best of football and consequently have high expectations from Goa. The same happens in the ISL as we all keep our eyes on how FC Goa performs. Last Season was a miserable one for the Gaurs as they conclued at the bottom of the table with only 14 points from 14 games. Such mediocre performance had terminated the services of Brazilian legend Zico and Spanish manager Sergio Lobera Rodriguez was appointed as the new manager of the club. FC Goa Management was adamant to built the best possible squad for the next season under the Sergio Rodriguez. Assistant Coach Derrick Perreira was the main man in action during the draft. The draft of the fourth edition of the Indian Super League at Mumbai on Sunday determined the fate of the 205 Indian faces who were up for a grab. Assistant-Coach Derrick Perreira had deducted the under-performers of last season from his hunt-list. The Gaurs spent close to ₹255.50 crores to rope in 13 players –seven from Goa and six from other States. Quite clearly, they are going to heavily rely on local talents for the next season unlike the previous ISL instalments. FC Goa, on retaining goalkeeper Laximant Kattimani and attacking winger Mandar Rao Desai, entered the draft in round 3 where they straightaway signed the talented Left Back Narayan Das. They tried to decoy right-back Rahul Bheke against the initial call made by Bengaluru FC, but couldn't make a deal to make Bengaluru ponder over as the debutants were determined to go home with Rahul Bheke. In round 4, Goa bought the defensive midfielder Pronay Halder—The Mohun Bagan loyal. Both Narayan Das and Pronay Halder were bought for ₹58 lakhs, which indicates how important they are for this Goan lineup. From Round 5 to 10, Goa secured the services of Chinglensana Singh, Brandon Fernandes, Seriton Fernandes, Pratesh Shirodkar. Seriton, Brandon and Pratesh, all had played under Derrick Pereira when he was with Churchill Brothers in the I-League. Anthony D’Souza and Jovel Martins, who were signed after Round-10 were also under Derrick Perreira at Churchill Brothers. This understanding between Derrick and the players might be a game changer for the team. This is another opportunity for the great man to emerge as probably the first Indian manager in ISL in the upcoming seasons. The domestic drafting of FC Goa makes it transparent on how Derrick has straight forwardly concentrated on building a compact midfield with ball-playing ability. The middle of the park demands the midfielders to go an extra mile, ensuring that the Forwards are fed with the perfect balls to penetrate the opposition defence. Ultimately, it's the midfielders who are the architects of the game! Will the bunch of Indian Midfielders signed by FC Goa shine this season?